Helen Burkhalter, a 70-year -old patient, was suffering from foot pain for over eight years. She had a bunion, degeneration of the bone in her foot and her big toe was jammed; all of which were contributing to her pain. About two years ago, the pain became unbearable. Helen was receiving cortisone shots that worked only temporarily. As she received more shots, they were decreasingly effective, until the cortisone just didn’t work anymore. Helen sought acupuncture after deciding not to have surgery on her bunion. Helen said the first couple of treatments didn’t really produce a profound improvement, but from the third treatment on, she started to feel better and better. 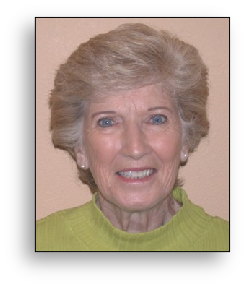 When Helen first came to ARC Physical Therapy and Pain Center, her pain level was a 10 out of 10. After just 12 treatments, her pain is now down to a 1 out of 10. Along with traditional acupuncture, Helen received physical therapy, massage therapy, acupuncture with stimulation and ultrasound. She is so relieved that she is no longer in pain all the time. Helen’s mood has improved and her overall outlook is much more positive. Helen was very impressed with how the staff at ARC handled all her questions and concerns with such patience and professionalism. She believes that the therapists are very knowledgeable, and is completely comfortable referring her friends and family to ARC Physical Therapy and Pain Center. Relieve your pain and improve your mood. 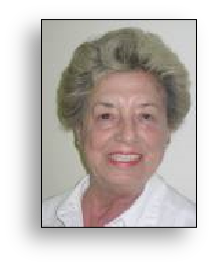 Rosemary Carder had been suffering with pain in her left leg for several months before to ARC Physical Therapy and Pain Center upon the recommendation of her rheumatologist. She reported that her pain was at a level 10 out of 10 when she started therapy. Describing the pain as excruciating, Rosemary said it was difficult to work, shop or travel. Rosemary’s therapy consisted of three treatments a week. It did not go away immediately, but Rosemary noticed significant relief after four treatments. During her treatment at ARC, Rosemary received physical therapy with mobilizations, massage and exercise, along with acupuncture treatments. The pain was eliminated after seven weeks of treatment. Rosemary has reported a 0 out of 10 pain level. “I am now able to perform many things that were impossible prior to this treatment,” she said. Rosemary can now go back to shopping, cooking and any activity that requires walking or standing. “The staff at ARC were terrific and they made me feel very comfortable.” Rosemary is telling all her friends who suffer from pain about her experience with ARC Physical Therapy and Pain Center.